Dashboard cameras are also known as dash cams, dashcams, car cameras, car DVRs, or even accident recorders. They are becoming ever more popular, and there is a huge variety of devices on the market, most of them from small or little-known manufacturers. If you are looking for a dashboard camera, then you are on the right position. This article on this site will help you make your decision, but you have only can choose between Rexing which come from V1 series and S300 series. Are you ready to read the comparison? Because we will make it into Rexing V1 vs Rexing S300. Check this out! Rexing V1 is a wedge-shaped camera that sticks directly to your windshield with the upper side of its casing. The image quality produced by Rexing V1 is good, the colors are also vivid, all are suitable for making an attractive video. Rexing V1 also comes with portsfor an optional rear camera and for an external GPS unit. An external GPS unit is available separately. Due to its wedge shape, the Rexing V1 is one of the stealthiest dashboard cameras available. It sticks directly to the windshield via a very small adhesive bracket. One more thing, Feature-wise, all the dash cam “must haves” are there, such as auto on/off, loop recording, date/time stamp, and G-sensor. It also has a button to turn the display on and off, which is a nice feature that we haven’t seen in other dash cams so far. Overall, this is a decent camera, with a very discreet form factor and great usability. However, video quality is not the best you can get at this price. Rexing S300 is an in-car camera that is capable of shooting footage in full-HD, with 170 degress wide angle of view and night vision capabilities. The lens of the Rexing S300 is kind of an ultra wide viewing angle of 170 degress. It gives almost a complete picture of the road ahead. And also it has the fast wide f/2 six-glass lens captures a lot of light even in darker conditions. The ability of recording from Rexing S300 is more complete with videos in full HD 1080p resolution. The shape is mini about 5.1 x 3.1 x 1.6 inch of dimension and 2.7 inch of large LCD screen on it. Memory lock and gravity sensing are two features that are intertwined and are extremely important in the overall scheme of things. One of the primary requisites when making a claim in the event of an accident is evidence. There can be no better way to provide a full-proof evidence for an event than a full-HD video from first person perspective. Seems like The Rexing S300 Dash Cam Pro 1080p has everything that you would expect from a car DVR system. 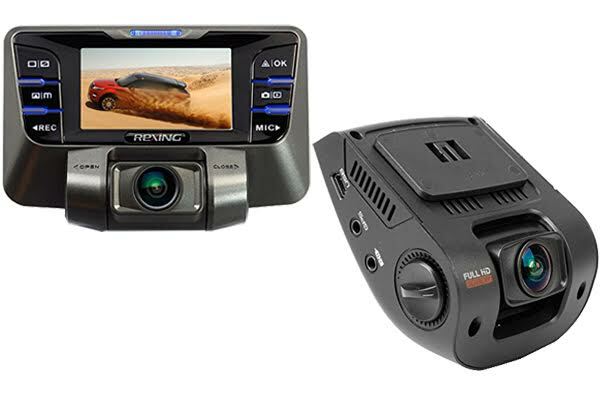 Hands up for the features offered by Rexing 300 which is already complete and precious enough for a dashboard camera. Touchscreen LED screen and high quality video are the main features that other product will not even have on them. It is an absolute decision if you choose Rexing S300 because, you know you are on the right way.